Nowadays, the mobile applications are preferred by many business leaders. The soul goal behind developing mobile apps for business is to maximize the reach with more user engagement. Whether you are a startup or an established business, having a mobile application can no doubt enhance your visibility and make you stand out of the competition. The most efficient way to run a business is to reach your target audience where they prefer to spend most of their time. A mobile application for a business is not only a technological innovation. You must need business knowledge and skills to develop a highly engaging and user-friendly application. In this article, we are going to highlight several key points which every entrepreneur, developer, and the business owner should remember before developing a mobile app for any business. 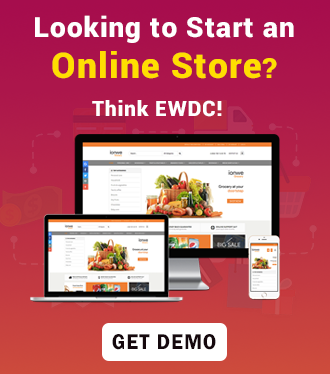 These facts can assist in clearing the doubts of the entrepreneur before they actually plan on building the mobile app for their eCommerce business. The main or basic idea behind the mobile application is that they can be in access of multiple users. So, when you are intending to build a mobile app then remember mobile platform matters and it plays an important role. Before choosing a platform, you should analyze some factors like the age group, the country you are targeting, type of business or industry etc. For instance, If you are choosing a country like the USA, you must be focusing mainly on Android and iOS platform which are largely used in the country and can give limited importance to Windows. There are three online stores for selling the mobile app Google Play, App Store or Windows Store. Hence, before starting your mobile app from scratch you, require to decide along with the member of your management team assists you to take this decision. Native apps are smartphone applications developed especially for a mobile operating system (Java for Android Vs. Objective-C or Swift for iOS) They are particularly developed on the guidelines of the defined operating system. As native mobile apps are for a precise platform, they can take advantage of operating system features. Both types have Pros and Cons. Selecting a native application can be costly and time-consuming but at the same time, it will provide a faster User Experience. Furthermore going with the hybrid application will lower cost and considerably mobile app developers will have to walk around its cons. Thus, before deciding native or hybrid, take a look into your preferences and priorities & then choose the one that will suit your requirements. User experience(UX) is a frequently significant feature when it comes to the digital landscape. A mobile app defines how a user feels and think about your business & services. It is about making something worthwhile, easy to use and compelling for your target audience. Hence, UI/UX is holding a vital role in today’s mobile app world. It is really important that it is one of those factors which will determine the doom of your mobile app. This component of a business app development is really important because 99% of times users do not come back to the app if it is not user-friendly. A well thought mobile application giving a seamless user experience can translate into various key benefits. Besides, the functionalities & content that are delivered to your mobile app should be in line with your customer. The final product must give a superior quality customer service. If you are inadequate to provide a quality mobile app, it may hurt your brand image. This is the reason why top mobile app development companies spend more time on this part of the application. The next step is to know who your target audiences are, their goals and terms, and the technologies they utilize. Always remember to concentrate on your audience while developing a mobile app for your business. And if the app does not satisfy user’s needs or expectations, it’s natural that they will not think twice while uninstalling it. Therefore, it is necessary to make an app which is providing to the audience’s requirements. Factors like the age group of your targeted users, the country which you are targeting, occupation, gender, and interests of the people need to be delivered into consideration for app designing. For instance, if you are building a shopping app, you need to put more pictorial illustrations and limited content. This will bring your audience connected with the app. Although your mobile app might have technically sound features, the success of it completely depends on how it delights the user. Having a good understanding of your competitors sets you in position to come up with something better & innovative. Moreover, it is always great to see what your competitors are presenting. Try to use related apps which you need to develop for your business and think, analyze as a user. There are hundreds or thousands of mobile applications against one simple idea. Get the top 5 apps that are related to your intended app and analyze them, then deliver something different & extra to your customer. When you get to know what your competitor gives, you can plan on what best you can provide to the customers. So, that extra mile you cross will make you win the competition. Nowadays, most applications are API driven. At the same time, not all the mobile apps you build need a custom backend & also connect to the mobiles utilizing APIs. You can handle the whole app with a local database and these apps do not need any kind of backend support. Always think the constraints like a cost that will be acquired to set backend and take decision accurately. Analytics is a quite essential part of any technological innovation. It will help you to understand the reasons for low adoption ratio of your mobile app. You should remember to implement mobile analytics associated with your business goals, to recognize and enhance the performance of the apps. The data related to mobile analytics can increase user engagement towards a set of events, preserve customers and pinpoint the particular functionalities to grow & improve the overall performance of the users. Therefore, you must always clear on what data you need to track and what kind of defined functionalities should be there to enhance the development phase along with testing & deploying phase. Hence, these handy proves an excellent help towards making better decisions about your idea of application development business. The final & crucial decision is to think whether you want a professional or you would like to create your own mobile app. The question summarize to the infrastructure and financial spending in both the case. Another aspect is to hire a professional eCommerce mobile app development company, which ensures a timely delivery of your app development and guarantees user engagement. An app development firm will improve your business engagement by targeting the requisite market & audiences. Besides, it will help in a comfortable and hassle-free user experience, which in turn gives us a profitable income generation accompanied by the free online promotion for our business. Whatever you choose, you must be sure of what you intend to achieve with the mobile app and how it will drive your eCommerce business for. Therefore, the above-mentioned facts have revealed the customer behavior of people, how and when people desire to use apps, what their preference is, etc. So, while building an app for your eCommerce business you should keep these things in your mind.